Specialised in the development and marketing of medical products, Dynamify GmbH invested in DermoScan GmbH, Regensburg, which is a well-established company in the field of medical technology. 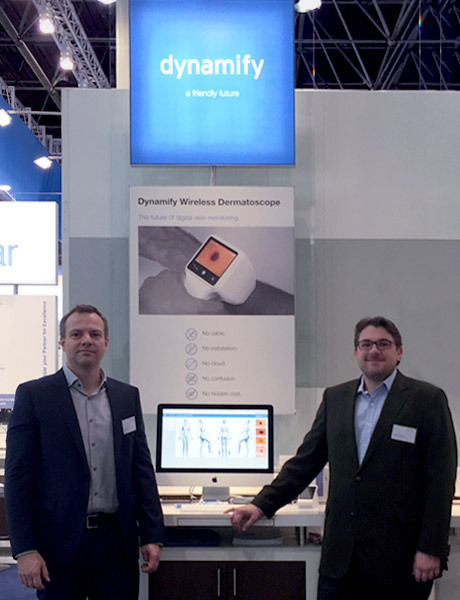 In return, DermoScan GmbH takes over the Dynamify Wireless Dermatoscope along with its global marketing. The Dynamify Wireless Dermatoscope is the first wireless video dermatoscope system used for documentation and monitoring within the scope of skin cancer prevention. DermoScan GmbH, well established in the field of dermatology/dermatoscopy for over six years, successfully caters to national and international markets with the DermoGenius line of products. In the course of this cooperation, Johann Tillmann, Co-Founder of Dynamify GmbH, has moved into the executive board of DermoScan GmbH and will steer the department of marketing and distribution. Dr. Hans Polz, director of DermoScan GmbH, notes that he is looking forward to incorporate a new and innovative product into his existing dermatology portfolio. 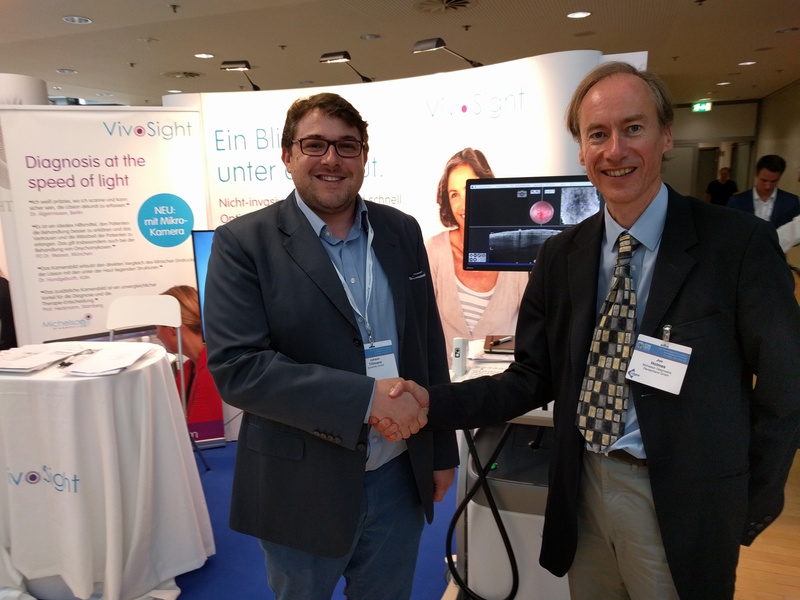 Rico Unger, co-founder and engineering director of Dynamify GmbH, adds: “Dynamify, with its wireless mobile video dermatoscope, has proven to be well capable of rapidly executing sophisticated product development – in this specific case within 2 years from the idea to the first sales records. Dynamify is very happy about this cooperation with DermoScan, the extension of the distribution network and wishes everyone a successful and healthy start into the new year! We’re happy to announce that Dynamify cooperates now with Michelson GmbH. Seeing below the surface of skin – VivoSight makes regular ‘preventative’ scanning much easier and more practical. Diagnostically powerful information provides clinicians with a level of detail that has been unavailable in routine examinations until now. Combined with the Dynamify Wireless Dermatoscope it completes diagnostics of skin cancer. It is not always about the look? Yes it is. That is why we have equipped the new generation of the Wireless Dynamify Dermatoscope with a new optics for micro and overview images. By using two separate lenses the quality has been improved significantly, the result: more sharp and detailed images. The Wireless Dynamify Cam ensures not only the highest mobility in practice, but still makes brilliant pictures. Even the smallest details are represented with an up to 30x magnification in the skin examination. 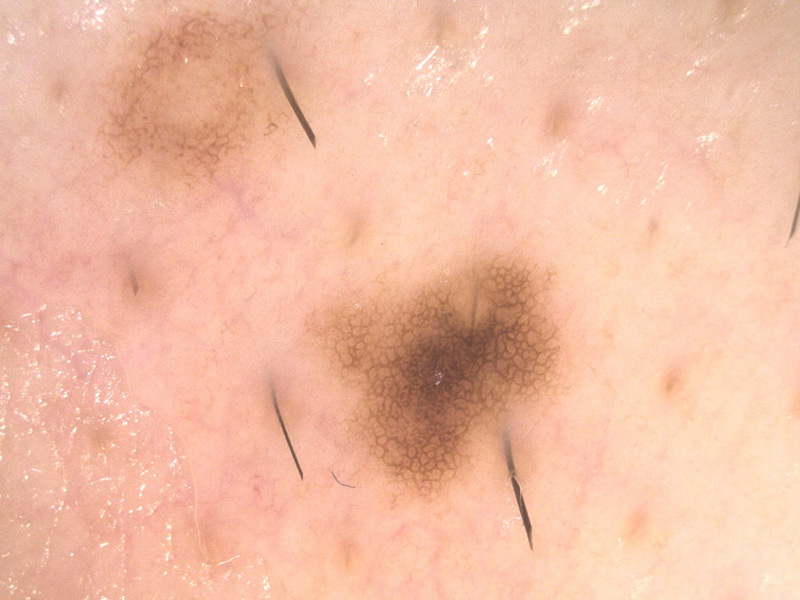 Suspicious lesions can be detected more quickly with the brilliant images of the wireless camera – a decisive advantage in the skin cancer screening. That’s what matters! We would like to show you how easy it´s to use Dynamify Wireless Dermatoscope. We share with you two videos in which you can appreciate the dynamics and usefulness of our system. Get to know the unique Dynamify Wireless Dermatoscope, available in more rooms, without installation and no Internet needed! Again, this year Dynamify will be present at the MEDICA. From the 16th to the 19th of November 2015 we will present our Dynamify Wireless Dermatoscope at the Düsseldorf Medical Technology Fair in Hall 03 / E83. 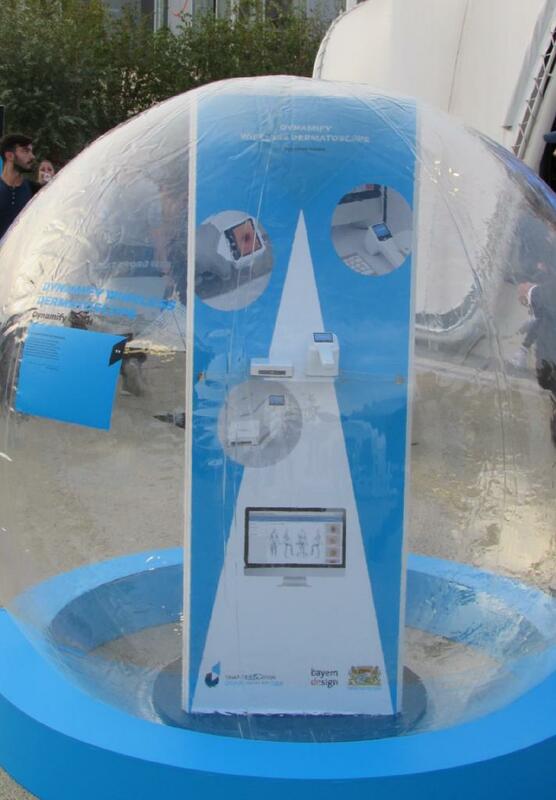 Visitors can experience live the benefits of the world’s first dermatoscope of its kind. Try then and there how flexible and easy to handle the Dynamify Wireless Dermatoscope is. Our experts will be happy to provide you with details and information about our innovative pricing models.